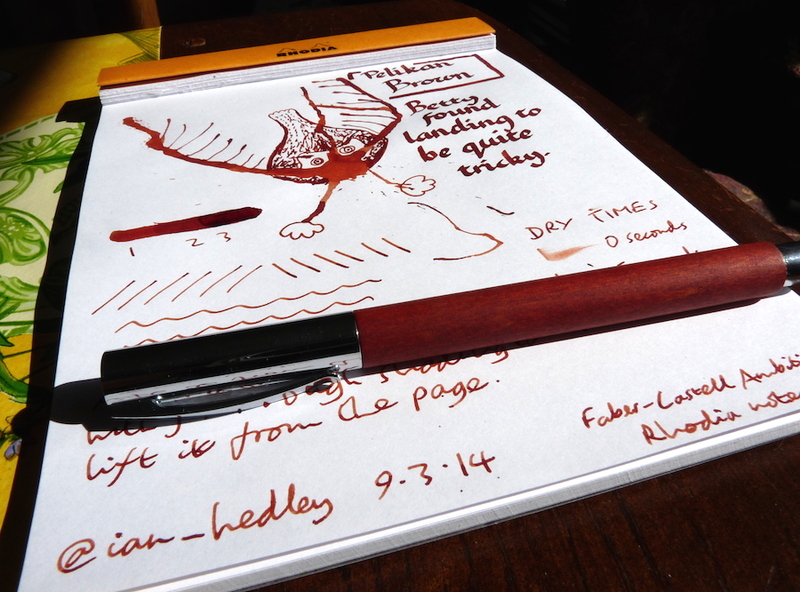 Pelikan Brown ink review – Pens! Paper! Pencils! 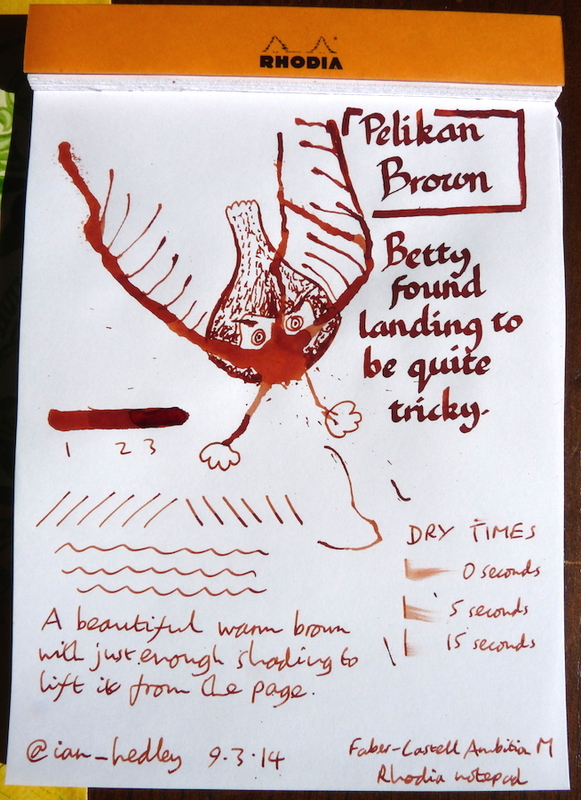 Pelikan Brown ink is a beautiful warm brown with good dry times and some shading. Pelikan brown is such a pretty ink. I have a really old bottle and a new sample and it looks like the formula changed at some point, color wise. I like them both 🙂 great review!